For my first post I thought I would get some information together about the Norwich Maltese Crosses. This is not meant to be exhaustive, it’s just my starting point to further study. Okay so let us start with a little history. Norwich is situated in the county of Norfolk in England and sits astride the River Wensum (which can be good for trout in some places). At the time of the Census in 1841, the Norfolk population was made up of 412,664 persons, give or take the odd tramp. Of interest to us maybe is the Norwich Head Post Office which has moved around a great deal within the city over the years. In 1836 the office located itself in Museum Street in St. Andrews, and then to Post Office Street (both parts now being known as Exchange Street). Norwich had two main variations of the Maltese Cross, generally referred to as Types I & II and possibly a third type. 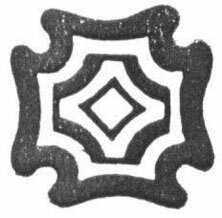 Before the heavy Maltese Cross usually associated with Norwich came into use late in 1842, that office used a Cross with two points of the central diamond longer than the other two. This produces a lop-sided effect. The examples we have seen on cover have dates of October and November 1841. This feature seems lacking, however, on some of the 1842 specimens we have seen. Type II, again from Rockoff & Jackson, we are told the Type II also known as The Norwich Special is recorded from 19th January 1843 (some say earlier) to 30 April 1844. 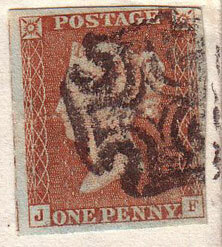 The heavy Cross of late 1842 to 1844 has a thick outer cross and thick curves to the inner cross. 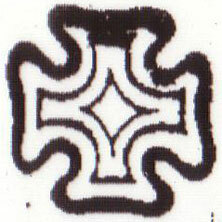 It is almost identical with the earlier Plymouth Maltese Cross, and is 16-17mm. wide. Type III Alcock & Holland also note a third variation with a sloping small figure 1 as illustrated here. 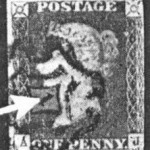 In The Norwich Post Office 1568-1980 by Vivien J Sussex, this variation is also noted, but it is indicated that dated examples are rare. It is also suggested that this may simply be dirt in the central pin. 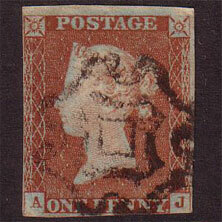 Sussex also brings attention to the ‘intermittent’ use of a ‘normal’ Maltese Cross after the introduction of Type II. This was possibly a ‘spare’ used when excessive volumes of mail occurred. 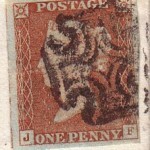 I cannot currently locate a catalogue value for Type I, though I assume it would be less than Type II as it was in use for a longer period. 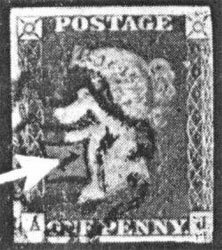 SG QV specialised catalogue 16th edition (also 2011) lists the 4 margin Norwich Mx at £550 and on cover £1,800 – thanks to Bill over on Stampboards for pointing this out. That’s it in a nutshell. I will add to this when/if I have more information. The Maltese Cross Cancellations – PDF – By R. C. Alcock & F. C. Holland. 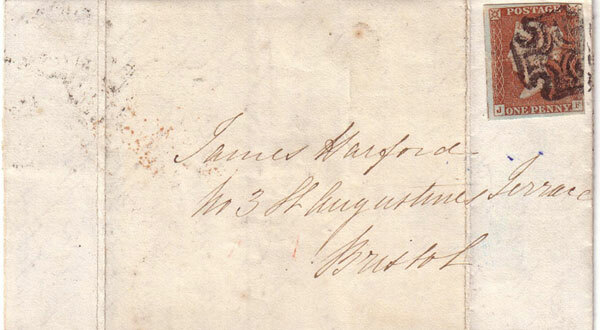 Distinctive Maltese Cross Cancellations – topic at Stampboards forum by emason (Bill). Just to illustrate that Type III could be due to something caught in the pin. 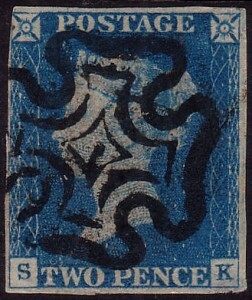 I saw this 2d Blue come up on an auction site recently.